The Essen Motor Show has thrown up a few pleasant surprises this year. 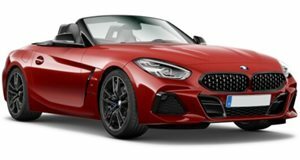 German supercar magazine Anabolicar has created a show car for the 2011 Essen Motor Show, selecting the BMW Z4 roadster for their project. Naturally the M package was chosen, with its lowered M-chassis, 19-inch rims and M interior featuring sports seats, M steering wheel and voice activated navigation system. Green reptile skin by KK-Cocoon was chosen for the paintwork to give the car a lizard-like appearance, a KW coil-over suspension was fitted, as was an Eisenmann exhaust system. The sound of the 265hp 3.0-liter engine has been suitably enhanced as a result and the black OZ Racing alloys complete the new look.